Born in Winnipeg, Manitoba in 1934, Sydney Hodkinson received his Bachelor and Master of Music Degrees from the Eastman School of Music where he studied composition with Louis Mennini and Bernard Rogers. He continued his studies in composition at the Princeton Seminars with Elliott Carter, Roger Sessions, and Milton Babbitt. Hodkinson received his Doctor of Musical Arts Degree from the University of Michigan in 1968, studying with Leslie Bassett, Niccolo Castiglioni, Ross Lee Finney and George B. Wilson. Brief private studies with Benjamin Britten and Luigi Dallapiccola ensued. Dr. Hodkinson has taught at the Universities of Virginia, Ohio and Michigan and, during 1970-72, served as artist-in-residence in Minneapolis under a grant from the Ford Foundation Contemporary Music Project. He joined the faculty of the Conducting and Ensembles Department of the Eastman School of Music of the University of Rochester in 1973, assuming the directorship of the Eastman Musica Nova Ensemble and later, the Kilbourn Orchestra. During 1984-86, he served as Meadows Distinguished Professor of Composition at Southern Methodist University, and in 1991 was Visiting Professor of Composition at the University of Western Ontario. In 1995, Hodkinson assumed teaching duties in the Composition Department at the Eastman School until his retirement in January of 1999. Since then, he has conducted the New Music Group at Oberlin College (2001), served as Visiting Professor of Composition at Indiana University (2002), Duke University (2003), and in 2004 accepted the Almand Chair of Composition at Stetson University, Deland, FL. Hodkinson also currently conducts the Contemporary Ensemble and serves as a composer-in-residence at the Aspen Colorado Music Festival and School. During the Spring of 2012, he was awarded the Bolcom extended residency in composition at the University of Michigan and in March 2012 served as composer-in-residence at Indiana University. 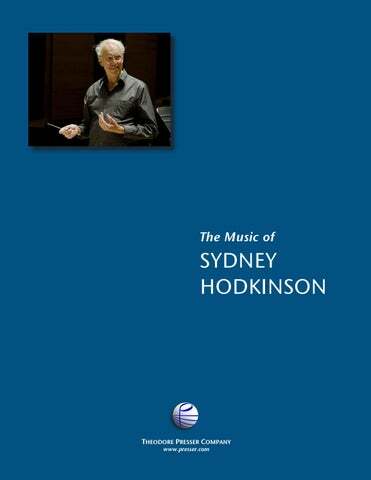 Hodkinson has written over 280 works covering a vast range of genres: educational pieces, an incredible variety of chamber music, including six string quartets, a prolific output of choral, operatic and vocal music, and large orchestral canvases, with concerti for English Horn, voice, violin, and clarinet. 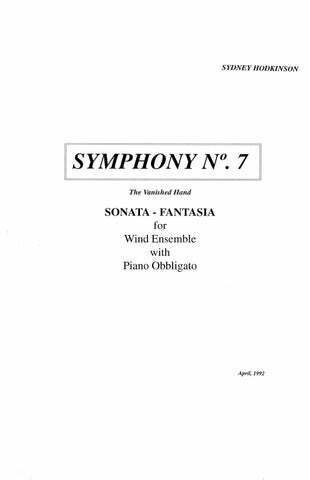 His Seventh and Ninth Symphonies are scored for large wind ensemble. 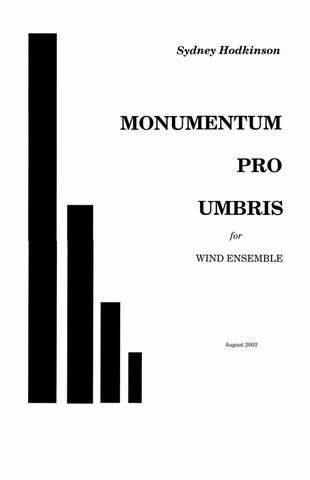 Monumentum Pro Umbris for winds was awarded the 2004 Audience Prize and second place in the International Harmonie Composition Contest of Harelbeke, Belgium. 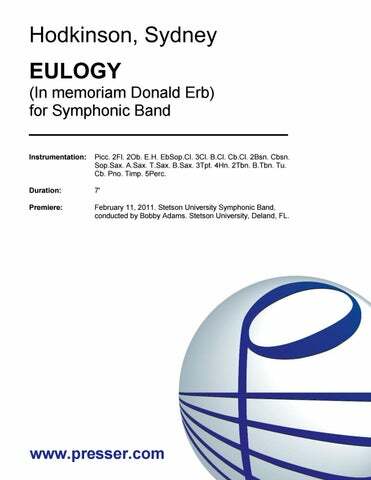 Recent compositions include four keyboard works: Episodes, Stolen Goods, Faded Anecdotes for piano and Organmusic: Six Tableaux for solo organ; Some Assembly Required for chamber septet, Eulogy – In Memoriam Donald Erb and Six-Pak: a Divertimento for wind ensemble, and Potpourri – eleven very short pieces for symphony orchestra. Awards include the National Institute of Arts and Letters, Guggenheim Foundation, the Canada Council, the National Endowment for the Arts, International Congress of Jeunesses Musicales, Farnsley Prize of the Louisville Orchestra, Danforth Foundation, and the Ford Foundation. 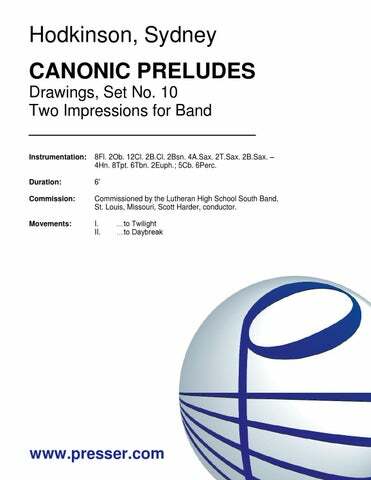 Compositions by BMI affiliate Hodkinson appear in the catalogs of Theodore Presser, American Composers Alliance, Associated Music Publishers (G. Schirmer), Ludwig Music Pub. 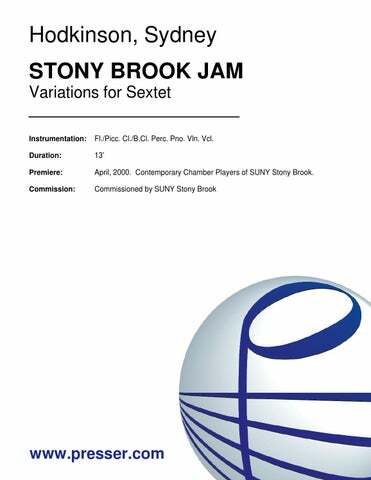 Co., Music for Percussion, Editions Jobert, Ricordi, Columbia University Music Press, Dorn Publications, Transcontinental and Smith Music Publications. Activities as composer/conductor are recorded on CRI, Grenadilla, Louisville, Advance, Albany, Nonesuch, Centaur, CBC, Novisse, Mark, Innova, and Pantheon labels. Mr. Hodkinson, a US citizen since 1995, is married to violinist Elizabeth Deisch and currently resides in Ormond-By-The-Sea, Florida. Encore for Violoncello Octet 4:00 8Vcl. Serenata Oscura ?cinque immagini delle notti tenebrose? 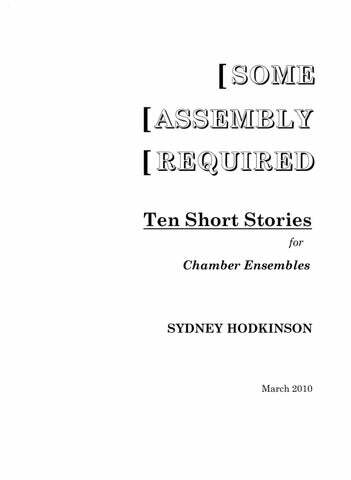 Ten Short Stories for Chamber Ensembles 23:00 Fl.(dbl. AltoFl.) Cl.(dbl.B.Cl.) 1Perc. Pno. Vln. Vla. Vcl. 16:00 Soprano Voice; Fl. 2Perc. Pno. 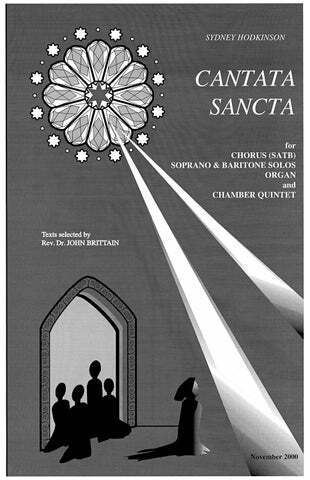 for Soprano and Baritone Soli, Mixed Chorus, Organ and Chamber Quintet 34:00 Sop., Bar. Soli, SATB Chorus; 2Vln. Vcl. Tpt. Perc. Org. 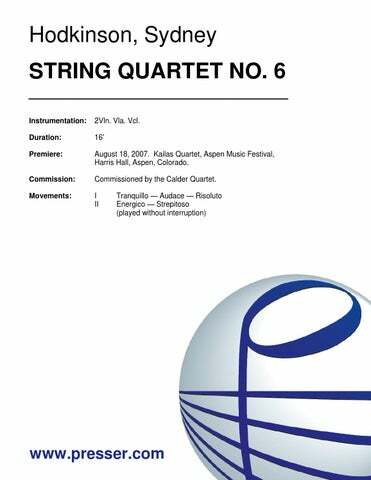 for Voice and Double Quintet 8:00 String Quintet: 2Vln. Vla. Vcl. Cb.Ww. 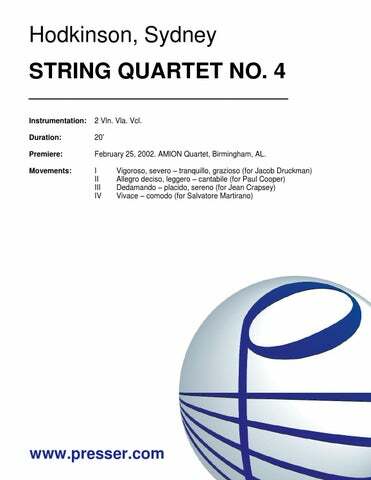 Quintet: Fl. Ob. Cl. Hn. Bsn. 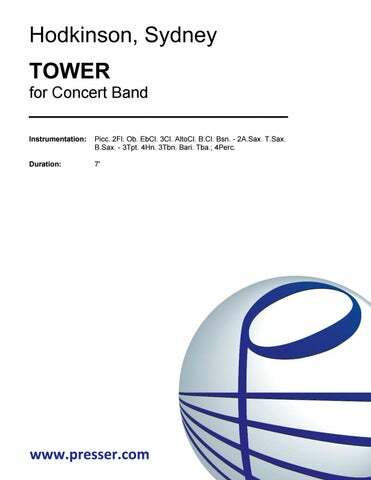 20:00 SATB Chorus; 2 2 2 2 – 2 2 0 0; Perc. Handbells, Str. for Voice, (T. or S.) Narrator and Instruments 11:00 On Stage: 2 0 1 0 – 0 1 0 0; 3Perc. Hp. Vln. 2Vcl. Cb. ; Voice, Narr. Ch. Orch: 1 2 1 2 – 2 0 0 0; Pno.(dbl. Hscd.) Str. (opt. Solo Amp. Str. 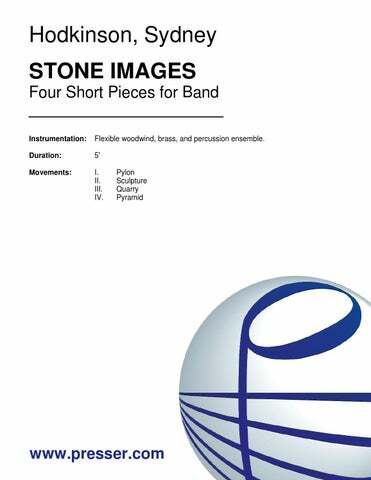 Nine Etudes for Winds and Percussion 26:00 3 3 4 3 – 4 4 3 1; Timp. 3Perc. Pno. Cel. Hp. 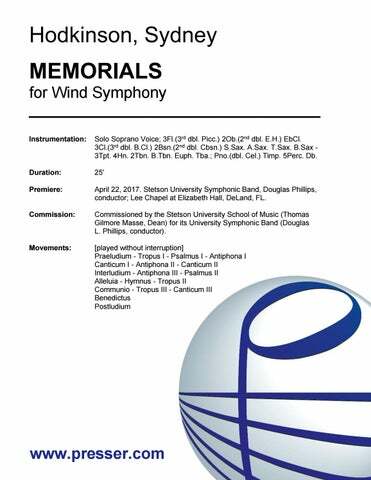 for Wind Symphony 25:00 Solo Sop. ; 3Fl. (3 dbl. Picc. ), 2Ob. (2 dbl. E.H.), Eb Sopranino Cl., 3Cl. (3 dbl. B.Cl.) 2Bsn. (2 dbl. Cbsn. ), S.Sax., A.Sax., T.Sax., Bar.Sax., – 3Tpt., 4Hn., 3Tbn., B.Tbn., Euph., Tu., ; , Cb., Pno.(dbl. Cel. ), Sop. Vx. ; Timp., 5Perc. 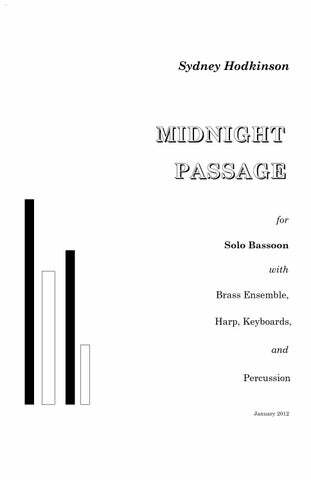 for Solo Bassoon, Winds, Piano and Percussion 12:00 Solo Bsn. ; 4 3 3 1, Euph. ; Timp. 3Perc. Pno.(dbl. Cel.) Hp. for Wind Ensemble 20:00 3(dbl. 2Picc.) 3(E.H.) 6(EbCl./Sop.Cl./B.Cl./Cb.Cl.) 3(Cbsn. ), Sop.Sax. AltoSax. Ten.Sax. Bar.Sax. – 4 4 3(B.Tbn.) 1; Timp. 6Perc. Pno. Hp. Cb. 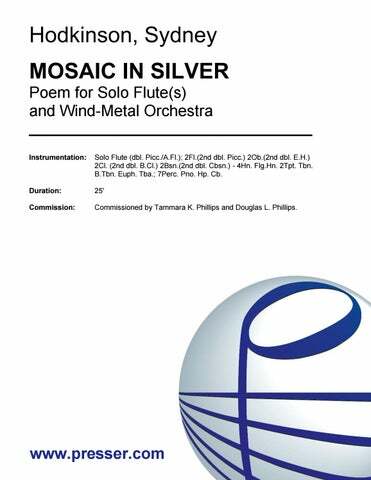 Poem for Flute(s) and Wind-Metal Orchestra 25:00 Solo A.Fl. ; 2Fl. (2 dbl. Picc. ), 2Ob. (2 dbl. E.H.), 2Cl. (2 dbl. B.Cl. ), 2Cbsn. (2 dbl. Cbsn.) – 4Hn., Fluglhn., 2Tpt., Tbn., B.Tbn., Euph., Tu. ; Cb., Hp. Pno.(dbl. Cel. ), 7Perc. 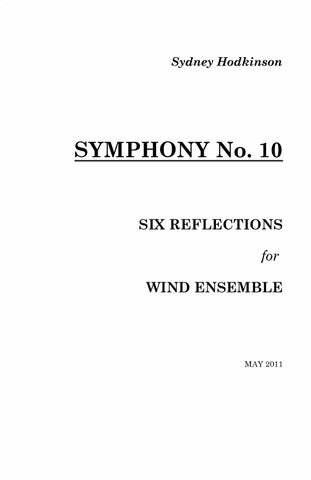 Six Reflections for Wind Ensemble 20:00 3(Fl.1 opt.solo dbl. Picc. / Fl.2 dbl.A.Fl. / Fl.3 dbl. Picc.) 3(E.H.), 6(E-flat Cl., B.Cl., Cb.Cl.) 3(Cbsn. 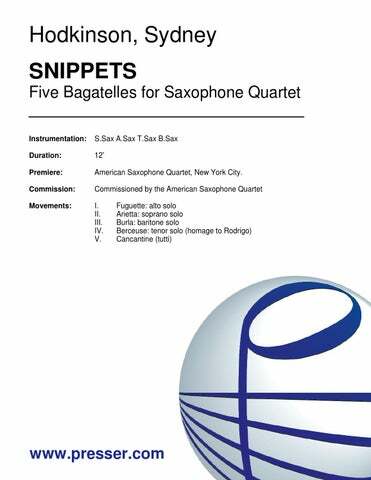 ), 1Sop.Sax., 1A.Sax., 1Ten.Sax., 1B.Sax. – 4 3(1 dbl. Flugelhn.) 3(B.Tbn.) 1, Euph. ; Timp. 6Perc. Pno. Cb. ; Sop.Vx. 22:00 4 3 6(EbCl./B.Cl./Cb.Cl.) 3 S.Sax. A.Sax. T.Sax. Bar.Sax – 4 4 3 2 2Bar. ; Timp. 5Perc. Pno. Cb. 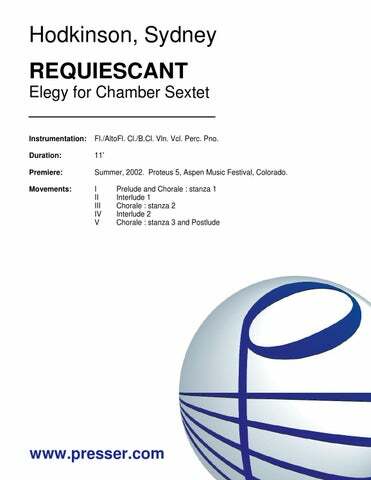 for High Voice and Chamber Orchestra 28:00 2 2 2 2 – 2 2 0 0; Perc. Str. 10:00 3 3 3 (EbCl./T.Sax.) 3 – 4 4 3 1; Timp. Perc. Pno. Hp. Str. 13:15 3(2Picc.) 3(E.H.) 3(B.Cl.) 3 – 4 3 3 1; Timp. 3Perc. Pno. Hp. Str. 22:00 3 3 3 3 – 4 3 3 1; Timp. 3Perc. El.Gtr. Pno. Hp. Str. 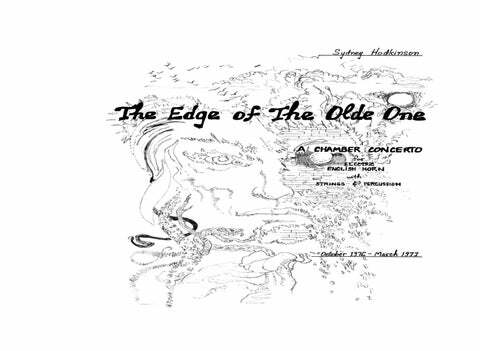 Six Songs for Medium Voice and Chamber Orchestra 20:00 2(Picc.) 2(E.H.) 2(B.Cl.) 2(Cbsn) – 2 2 1(B.Tbn.) 0; 3Perc. Pno. Hp. Str. Symphony No. 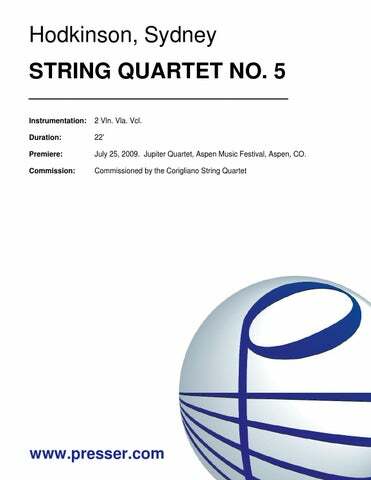 5 for Chamber Orchestra 18:00 1 2 1 2 – 2 0 0 0; Pno. Str. 8:30 3 2 2 2 – 4 3 3 1; Timp. 2Perc. Pno. Str. 1030 2(Picc.) 2 2 2 – 4 2 2(B.Tbn.) 1; Timp. 2Perc. Hp. Str. 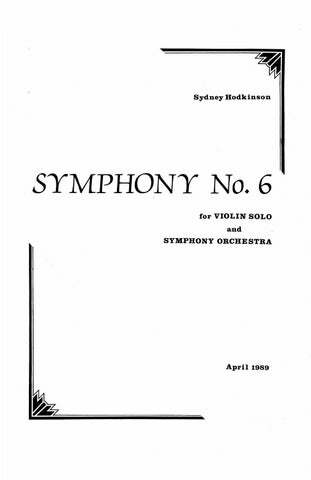 for Solo Violin and Orchestra (from Symphony No. 6) 12:00 2(Picc.) 2(E.H.) 2(B.Cl.) 2 – 4 3 3(B.Tbn.) 1; Timp. 3Perc. Pno.(Cel.) Hp. Str. 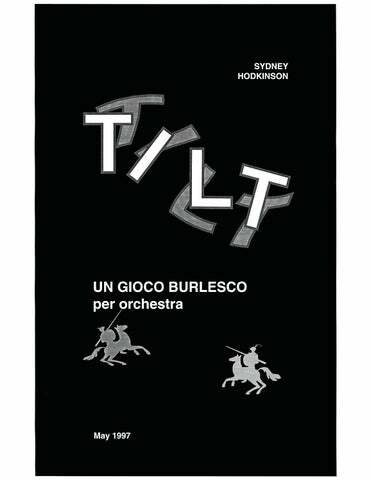 “un gioco burlesco” 10:00 3(Picc.) 3(E.H.) 3(E-flat/B.Cl.) 3(Cbsn.) – 4 3 3(B.Tbn.) 1; Timp. 3Perc. Hp. Str. 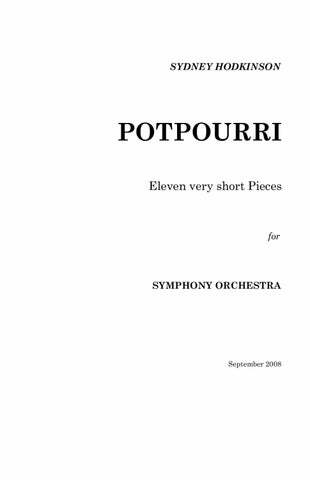 for Chamber Orchestra 7:00 1 2 1 2 – 2 0 0 0; 2Perc. Pno. Str. Concerto – Fantasia for Violin Solo and Chamber Sextet 17:00 Vln. Solo; Fl. B.Cl.(dbl. Cl./Cel.) Pno. Vla. Vcl. Perc. for Clarinet and Orchestra with String Quartet Obbligato 26:00 2(Picc.) 2(E.H.) 2(B.Cl.) 2 – 2 2 1 0; Timp. 2Perc. Pno.(Cel.) Hp. 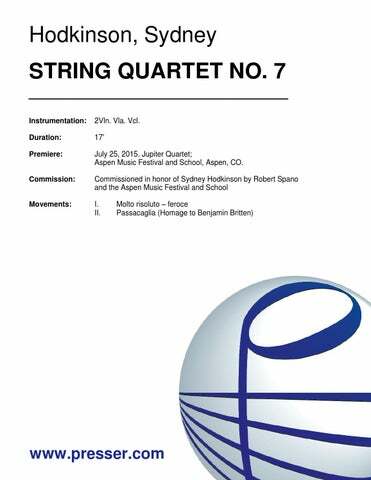 Obbligato String Quartet, Str. An Incantation 22:00 Solo Cl. ; 2(1,2 dbl. Picc.) 2(2 dbl. E.H.) 2(2 dbl. B.Cl.) 2(2 dbl. Cbsn.) – 2 2 2(B.Tbn.) 1; Timp. 2Perc. Str. 30:00 Solo Violin; 2(Picc.) 2(E.H.) 2(B.Cl.) 2(Cbsn.) – 4 3 3 1; Timp. 3Perc. Pno.(Cel.) Hp. Str. 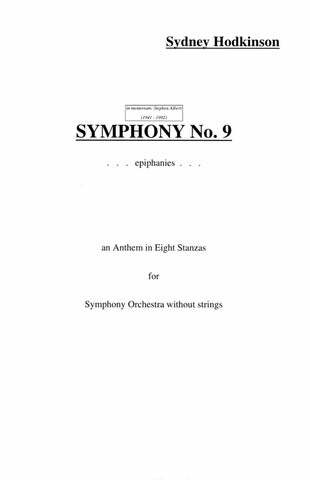 …epiphanies… an Anthem in eight stanzas 27:00 Solo Brass Quintet; 3(Picc.) 3(E.H.) 3(B.Cl.) 3(Cbsn.) – 4 2 1(B.Tbn.) 1; Timp. 4Perc. Pno. Cel. Tremendously exciting… Balances rude outbursts of calculated chaos with moments of intoxicating loveliness and fresh, genuine fantasy. The gradual emergence of the voice from the ruins of the percussion is a stunning stroke of both music and abstract theatre. …quite different. The treatment reflects the English carol tradition… each uses the imitative counterpoint that is common to the canon. The rhythms are lively and dance-like, the harmonic intervals open… the unaccompanied singing was delicious and bright. The clarinet… weaves in and out of the orchestra, sometimes blending, sometimes at odds with the dense sound fabric… After molding the orchestra into a jazz band for the outer movements, Hodkinson’s writing reconfigures it into another “chamber ensemble,” as the clarinet converses with a string quartet obbligato… Childlike innocence and wonder are heightened by shimmering percussion effects… From a gentle, nostalgic haze, the last movement sharpened abruptly… a vigorous conclusion which caught fire. …I would love to hear it again — what more can you say of a new piece? 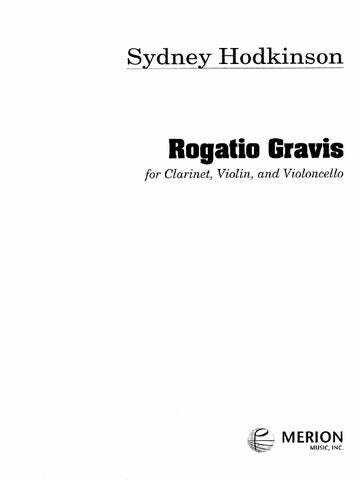 …Hodkinson’s divertimento is a complete surprise. Those who know and admire his more radical side through such fine works as “Interplay,” “Arc,” or “Valence,” are in for an outright shock. A popular spirit infuses even the more stately dances, and there’s much fun in the way Hodkinson avoids the unexpected… It’s a piano trio of a very unusual and rewarding kind. …The pages may look frightening at first, but the notation is remarkably clear. The music inspires changing moods and certainly cajoles the organ into unusual sounds. 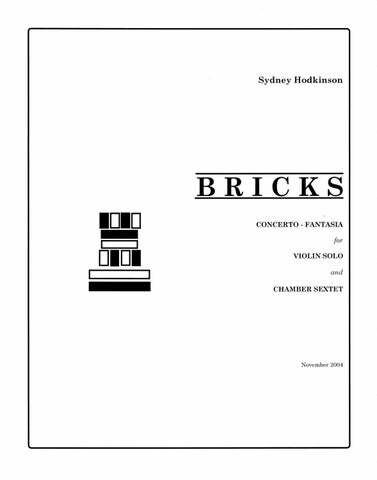 …uses the full resources of the orchestra in blocks, lines, splashes, glitters and wisps of sonorities, and each has firm shape and a clean trajectory. …a work of remarkably high quality, certainly with respect to sheer virtuosity of orchestral writing… creative imagination and technical facility went hand in hand. Hodkinson’s jazz-inflected aphorisms compound virtuoso demands with an assumption that symphony orchestra players can wail at the drop of a blue note. …a complete success. It is an interesting kinetic work, giving off the full flavour of its musical variety and aggressive energy. Hodkinson’s music whole-heartedly embraces the melodic sophistication and rhythmic vitality of jazz. His “Epigrams” is an appealing sequence of four movements; a magical mixture of contemporary universes, matched only by the delicious savoirfaire with which Hodkinson managed to set an entire orchestra scatting. …this moving elegy opens with quiet sighs from the strings gradually building to almost chaotic rage, then trickling away to be replaced by a more comforting wind chorale, some final reminiscences and a provocative end. The parts are welded into a whole that is no less a visual harmony than a harmony of dramatic and musical values. Seldom does one see simplicity so much an intrinsic part of the complexity and intensity it expresses as in “Lament”… The virtues of “Lament” are numerous… To acknowledge that “Lament” touches us deeply is to acknowledge only one part of its excellence. …a setting…characterized by warmth, expressiveness, subdued humor and understatement. …admirable textures and colors and a good deal of lyric intensity. …Hodkinson has re-imagined the organ in contemporary terms…seeking to evoke prehistoric stone monuments, [he] creates massive, slow-moving music that is both colorful and grave. …which came first, the musical texture or the name, we don’t know, but the results are plausible and the choice of the organ was inspired. I am convinced. …Judging by these songs, it is to be hoped that other education authorities will extend a hand of friendship to today’s composers. “Dog Bone Blues” is a splendid piece with lots of fun and challenge…tension is built up very well. …thanks to such present-day composers as…Hodkinson, the organ has finally joined the 20th century as a true medium of expression for our time, not a pale imitation of another age. 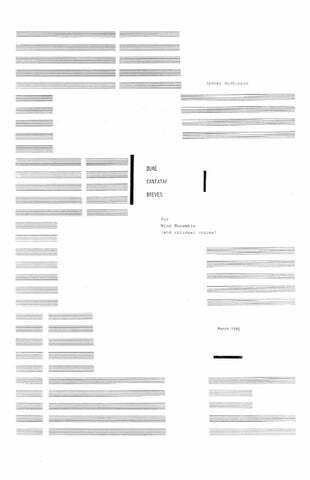 …the composer has devised ‘stone pillars of sound’ which succeeded in providing an aural perspective of depth and beauty…Charting new frontiers of sound, taking its listeners to places they’ve never been before and exploring fresh vistas of sound in the most imaginative ways, [this composer] assures us that the organ is still alive, well and flourishing. Hodkinson’s power as a writer for orchestra comes to the fore in the “Missa Brevis”… I am particularly impressed by the composer’s ability to evoke the mood of each part of the mass through a series of variations without his ideas becoming trite or repetitive. Indeed, he has crafted a work of rich variety and interest. 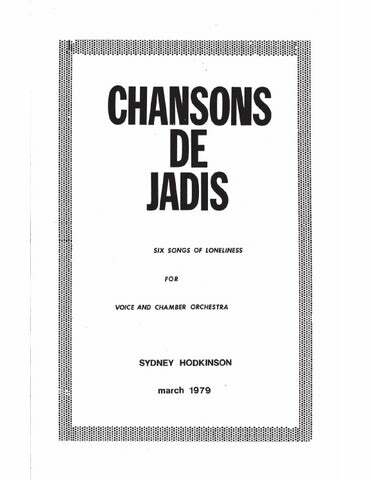 … Hodkinson is a composer worth knowing. …an exciting and thrilling work; medieval in flavor, but contemporary in sound… and the climax is quite uplifting. …dazzling…Brilliant timbral gems melded one into the next, with orchestration that resembled a large symphonic work more than the usual band fare. 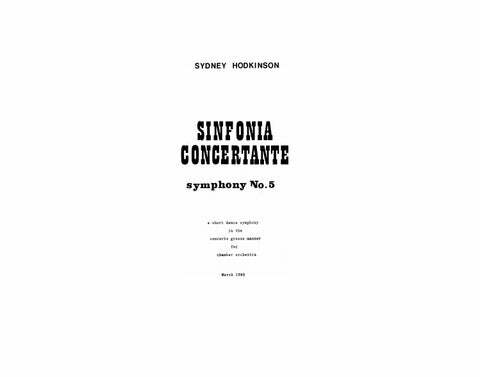 Mr. Hodkinson’s work has been appreciated because of the powerful expression of his writing, the fine combination of sonorities in his instrumentation and also because the music is very clear and understandable without being cheap. That the audience was of the same belief proves the fact that his score also won the Prize of the Audience. …a work of otherworldly beauty. …a delicious, mischievous mix of influences ranging from Gershwin to Prokofiev to Bernstein to Ives. Bravos. It received a standing ovation in the middle of the concert and I really mean ovation! The chorus eventually joined the applause of the audience, and you’d have thought Alabama had just won the NCAA Basketball Tournament. It was one of my most thrilling moments in music! My heartiest congratulations to you for not only writing a fine piece of music, but one that is an inspiration, challenge, and, at the same time, practical. Sydney Hodkinson’s Requiescant more than compensates for its relative brevity by sounding a lament which is deeply faith-driven. …essentially serene and uncluttered. 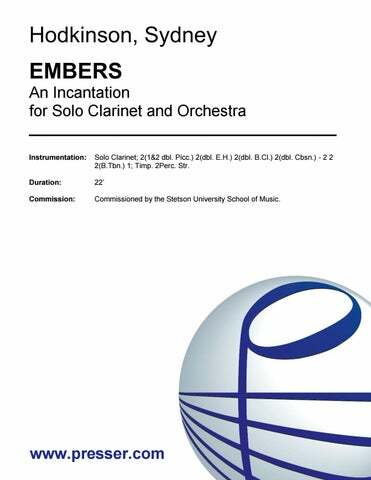 …imaginative contemporary work… A good introduction to modern sonorities for youngsters,…providing tone clusters, whispering, sprechstimme and other delicacies. The big surprise of the evening was Hodkinson’s “Stabile,” which plumbed unusual depths of imagination… The work made a strong impression. …Hodkinson’s “Stabile” dealt almost exclusively with textures and tonal combinations. They vary enormously, and the piece’s interest lies in the way they are shifted from one to another. The work was written for an adult orchestra’s youth program, and the concentration on types of sound must have proved attractive. 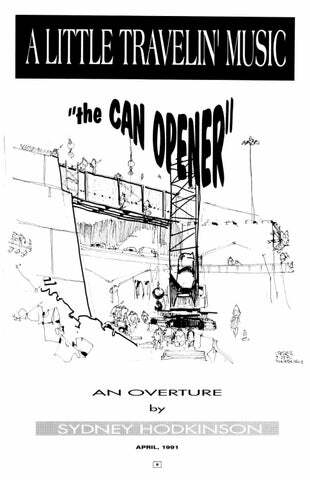 This work should be a regularly-performed addition to every junior high school, high school and college band library… [It] will bring joy to students, conductors and audiences. Meaty, powerful and overflowing with rhythmic vitality, the quartet sheds the academic robes of so many new quartets. Raw-edged accents, twangy sul ponticello bowing, converging and diverging glissandos and egalitarian scoring propel the work, giving it a unique character. The final movement is especially striking for its wit and energy. …powerful work…vital music…egalitarian, witty, energetic, raw and intelligent. I liked the fierce energy and aggressive angry atonality of the first movement, full of sudden dynamics and other surprises. …[I] would welcome a chance to hear more of his music. …Hodkinson proves himself a master of the orchestral medium as a device with which to demonstrate intimate visual and musical interrelationships. In “Fresco,” he feeds the listeners’ minds with a fresco in time rather than space. Fascinating colors abound. The work is light in character and charming in its vitality and quicksilver mood. It tinkers playfully with many familiar dance forms [and is]… humorous and often frenetic… a charming piece, one that should find its way into other concert programs around the country. …The piece demonstrates that today’s composer no longer feels he must address himself to large and weighty thoughts in a symphony. The work is meant to be a divertissement, and, in being highly diverting, it succeeds. …extraordinary, prismatic colors and rich textures…the work meshes seemingly incompatible ingredients — lyricism and dissonance, space and detail — with deceptive old-bottle-new-wine simplicity… vintage Hodkinson in its finely blended contrasts… This hybrid — part epic, part rumba — opens with the majestic stillness of an aerial view, the broad panorama of open spaces. 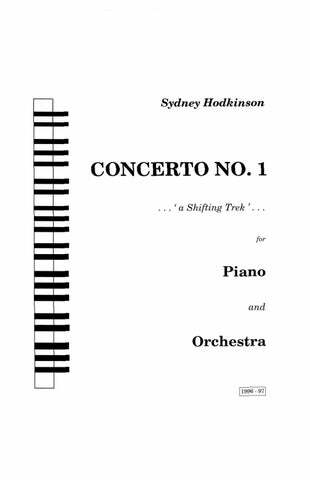 But it gradually strives toward a more detailed perspective, zooming smoothly from the dramatic to the lyrical and back… The Symphony No. 7 engages the mind and senses with its fresh vibrancy of color, rhythms and textures. 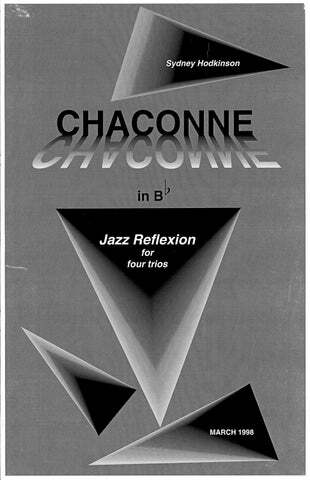 …the impression is of slow-moving wedges of sound and of the composer’s fascination with texture and timbre. As [the music] moved away… into forceful, organized sound, the composer did indeed convey the impression of something monolithic and awesome. 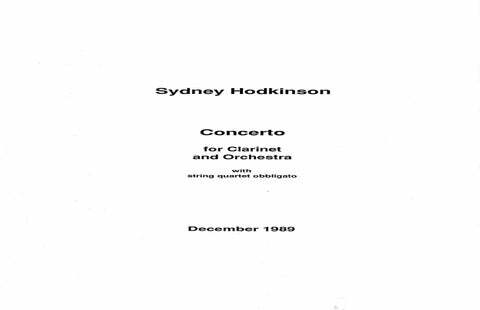 Hodkinson wrote an intimate piece, almost stripped, full of tension and with a forceful line which reminds us a little of certain pieces by Xenakis… no tricks, a style marked with honesty that respects conventional possibilities of wind instruments, without falling into sonorities heard before. A good piece, full of streams, waves and wandering intensities. …marvelously inventive… the work is emotionally and aurally involving, full of wonderfully mysterious sounds… the textures are wonderfully rich, and the soloist accomplishes feats one wouldn’t ordinarily consider possible. …a monument of activity and direction… the music has absorbing ideas as it hints at a waltz (macabre), tarantella (diabolic) and riffs. There are attractive “interludes” and an effective ending, with taped handbells added to the climax and dying away finish. …If you’d love the exhilaration of white-water rafting in the Grand Canyon, Hodkinson’s “Tilt” is your kind of music. Well-named, it surges forward full tilt in an exuberant, man-against-nature adventure, barely letting you catch your breath. …an educational experience for both the director and students. 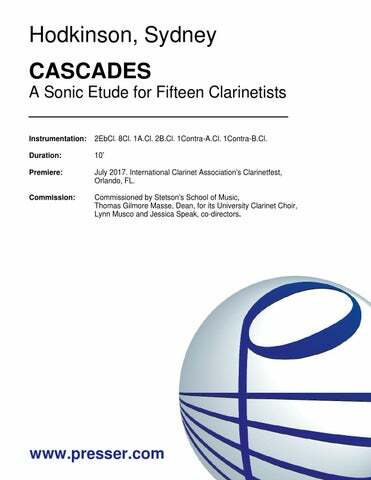 The piece moves from breathy, clacking sounds to gentle chromaticism to a consoling Arcadian finale that beautifully suggested the pastoral connotations of the English Horn. …a significant work written in memory of Vincent Persichetti. 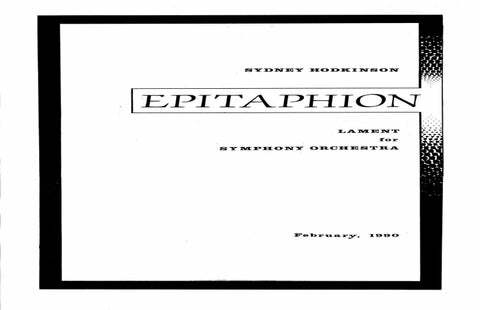 The Epitaph is hymn-like with expressive cadenzas for the clarinet and violin, and theScherzo has a traditional form with the initial thematic material leading to an interesting development section. …concise and well-made, notable for the quality and ingenuity of the scoring. …So much goes on! The work is a gleeful multi-media assault on the pomposities, inanities and insanities of modern society. Its formal take-off point is the oratorio but it flies its own course textually, formally and musically.